An electromyography sensor made using bottle caps, buttons and cake mix. Programmed so you play pong, using your arm. 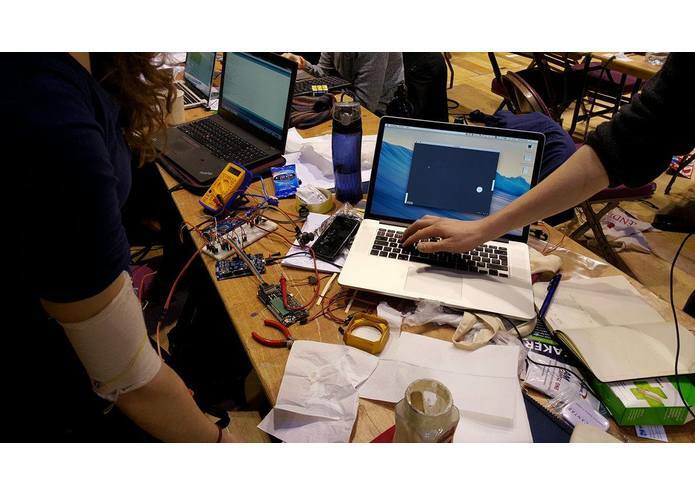 The original idea was to see how cheap, readily available parts could be used to build an accessible myoelectric sensor that could be used in anything, from prosthetics to games. 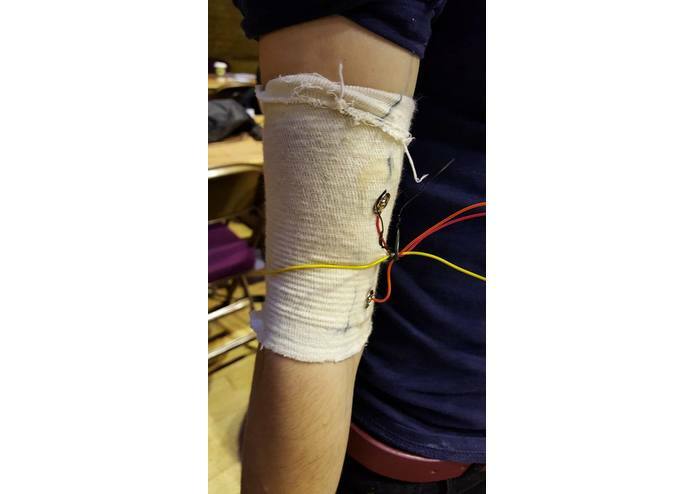 The sensors detect electrical impulses in your arm, giving us the ability to detect the difference between flexing and relaxing the muscles in your arm. 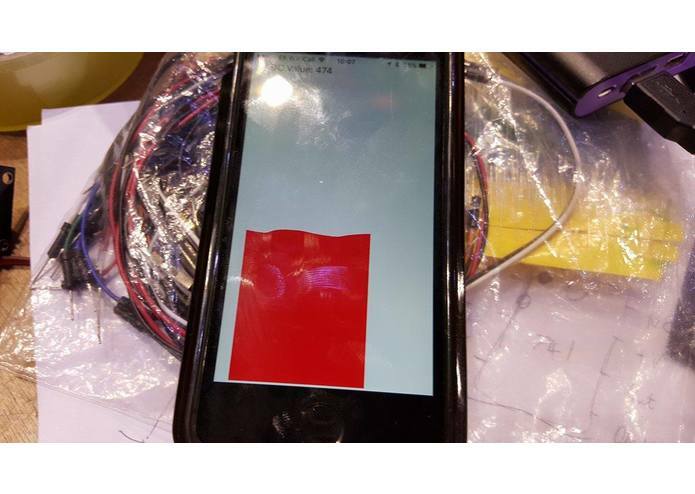 In our demo, this is transmitted over Bluetooth Low Energy, which gives us the opportunity to use the data to control objects on the screen. 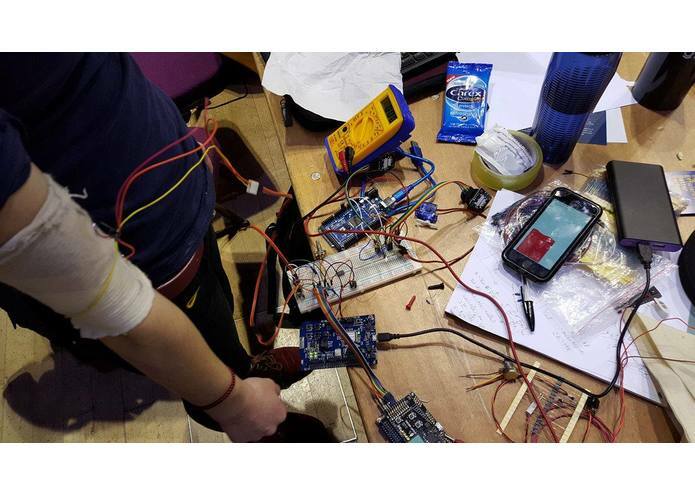 It was built using a ARM based Bluetooth Low Energy development board, which receives an amplified analogue signal from the sensor, which is then transmitted to an iPhone app or a Mac App, which can do as it likes with the data. The iOS and the Mac apps were built in Swift, and the code for the ARM board was written in C++, using mbed. 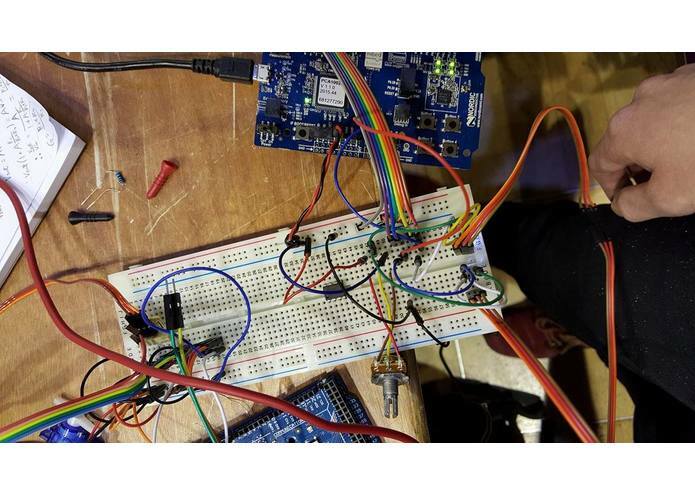 Making a game of pong that can be controlled by your arm. More cake mix is always better. It will dry up and flake off our arms over the next 24 hours.